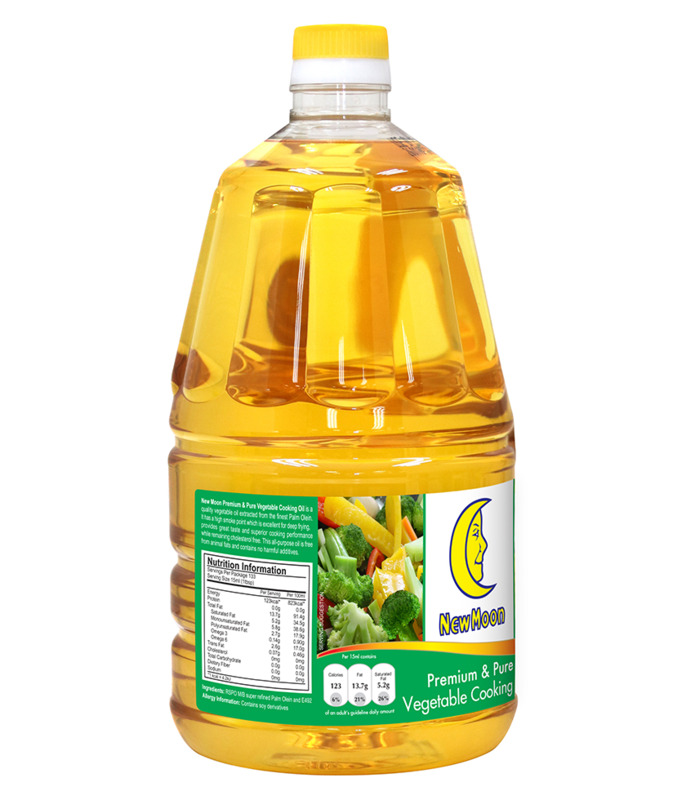 New Moon Premium Grade Pure Vegetable Cooking Oil is a valued vegetable oil blended from the finest selection of Palm Olein, fragrant peanut and sesame oil. 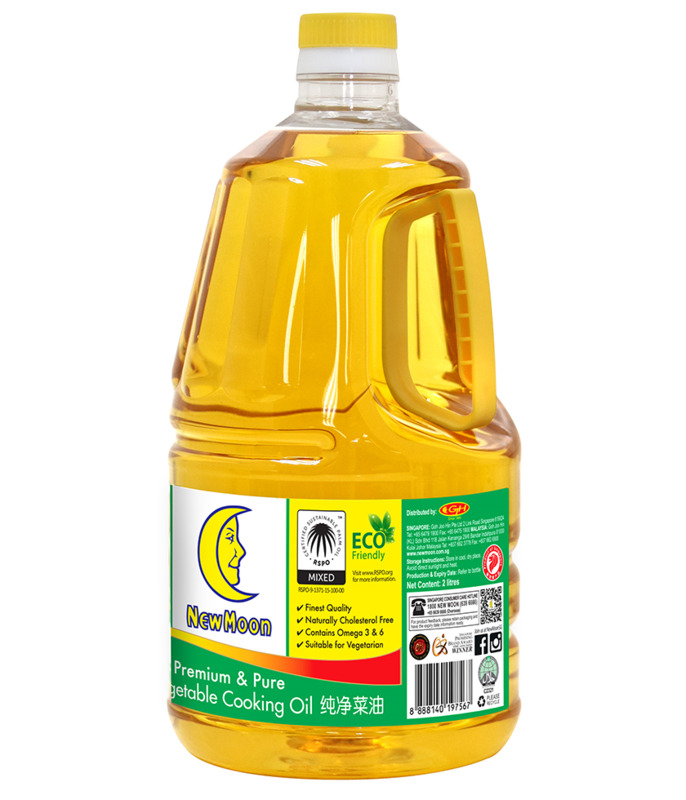 This light golden yellow color oil has an aromatic flavor with a high smoke point which serves as an excellent all-purpose oil for deep frying. 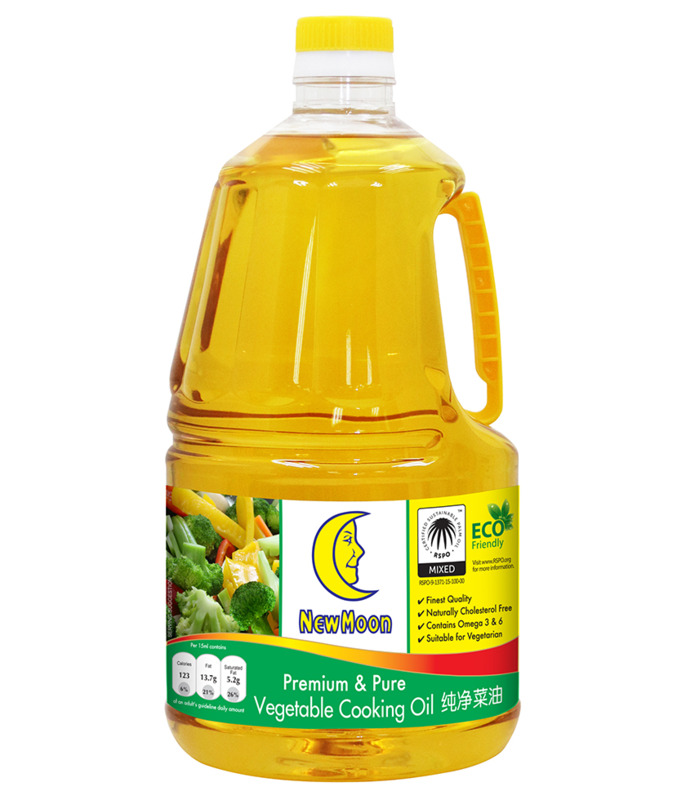 New Moon Premium Grade Pure Vegetable Cooking Oil outshines other oils by providing great taste and superior cooking performance, while remaining cholesterol free.